Los Angeles, CA -- Steve Earle's four MCA Records studio albums, Guitar Town, Exit 0, Copperhead Road, and The Hard Way, have been remastered from the original tapes by Robert Vosgien and cut for vinyl by Ron McMaster at Capitol Mastering for LP release on May 6. Franklin, TN -- Franklin, Tennessee is making its mark on the live music scene, elevated by the success of the recent inaugural Pilgrimage Music & Cultural Festival, proclaimed to be "arguably the best curated (festival) of the year" by Rolling Stone. This Southern suburb of Nashville, known for its Civil War attractions, historic preservation accomplishments and quaint Main Street appeal, is getting a second look for its live music, attracting locals and visitors alike. John Cowan, alsoknown as the "Voice of Newgrass, has been singing his hesart out for thirty-five years and his soaring vocals have only improved with time. Sixty, John's new album and most musically ambitious project to date, is a stylistic journey through a 30+ year career. Cowan, one of the most legendary voices in roots music, signed a license deal Compass Records to release his new album entitled “Sixty”, due out on August 26. Leftover Salmon will be celebrating the 15th Anniversary of "The Nashville Sessions" at the Ryman Auditorium on September 15th, kicking off what will be a memorable Americanafest 2014. Other artists festured will include Sam Bush, John Cowan, Sally Van Meter, Bill Payne, Randy Scruggs and more. Nashville, TN -- John Cowan, one of the most legendary voices in roots music, has signed to Compass Records with a new album slated for an early summer release. Cowan is currently in the studio putting the finishing touches on the project which promises to be the celebrated singer/bassist's most ambitious and compelling solo release to date. Abingdon, VA -- For the second year, the Town of Abingdon has partnered with Barter Theatre and Bonefire Brands to kick off the 2014 Abingdon Music Experience with the January Jams concert series. This series will include 7 total concerts, starting January 9, and run every Friday and Saturday during January. “We are excited to expand the number of shows offered from 4 to 7 this year after the overwhelmingly positive response last year,” explains Sara Cardinale, Special Events Coordinator for the ACVB. Nashville, TN – Mountain Home recording artists, Darin & Brooke Aldridge, returned to Nashville’s Music City Roots show, on an evening with an all-star cast that included entertainment legend, John Cowan. The musicians took some time backstage to swap stories from the road and stage. Darin and Brooke are known as the "Sweethearts of Bluegrass." Dalton, Georgia -- The Miracle League of Whitfield County (Georgia), a non-profit organization, will receive a grant in the amount of $1,000 from Bluegrass Bands Helping Hands. The grant amount represents the concert proceeds from last Saturday's performance featuring "new grass" singer John Cowan at the Dalton Freight Depot and will be distributed by The Community Foundation of N.W. Georgia. 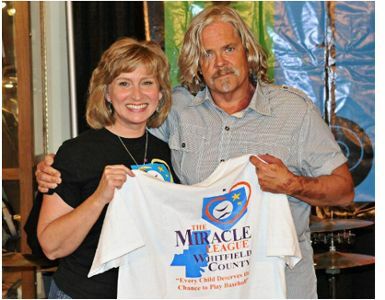 Dalton, GA -- On Saturday June 9th Bluegrass Bands Helping Hands will present “An evening with the John Cowan Band” to benefit The Miracle League of Whitfield County. One of the true musical innovators, John Cowan rose to fame when he became the lead singer for New Grass Revival and introduced a new generation of music fans to an explosive, experimental brand of Bluegrass Music -- "Newgrass". The concert will be held at 7pm at the historic Dalton Freight Depot. The concert is co-sponsored by the Downtown Dalton Development Authority. Concert tickets are available for $15.00 through the freight depot gift shop located at 305 S. Depot Street in Downtown Dalton Georgia. 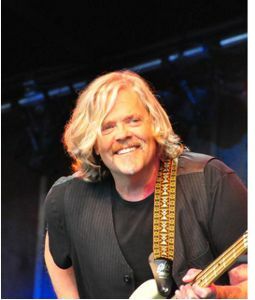 Dalton, GA -- The Dalton Freight Depot is happy to announce the performance of The John Cowan Band on Saturday June 9, 2012 at the Historic Dalton Freight Depot. One of the true musical innovators, John Cowan rose to fame when he became the lead singer for New Grass Revival and introduced a new generation of music fans to an explosive, experimental brand of Bluegrass Music -- "Newgrass".